Luis Herédia, also known by his nickname ‘Limão’, is a Brazilian Jiu Jitsu black belt a rank he earned training under Rickson Gracie‘s guidance. Herédia is a historical figure in the development of the gentle art in Hawaii, especially in the island of Maui, the second-largest of the Hawaiian Islands, from where Luis Herédia has formed several world class grapplers. Nickname: Luis earned his nickname of Limão (translates to lemon) when he was about 16 years old. He lived in Copacabana, one of the more famous areas in Rio de Janeiro at the time, and he had a close group of friends with whom he usually hanged with, at the famous ‘Miguel Lemos’ street. It was one of those friends who would give him the nickname, after he saw Luis kiss a girl, the girl being kissed (allegedly) made a screw up face, like she had just tasted a lemon, this is what gave Heredia the name. Luis Herédia grew up in the famous ‘Zona Sul’ of Rio de Janeiro, more specifically in the Copa Cabana area. He started practicing martial arts at the age of 13 through Tae Kwon Do with Master Rodney in a gym very near his house. In the area most of his close friends trained martial arts, ranging from TKD, Karate, Judo and of course Gracie Jiu Jitsu. When there were street fights between the kids, the Jiu Jitsu boys would always come out the victors, for that reason, when Luis was 15 he chose to give Jiu Jitsu a try. The first Jiu Jitsu academy Luis tried was Osvaldo Alves‘ gym. 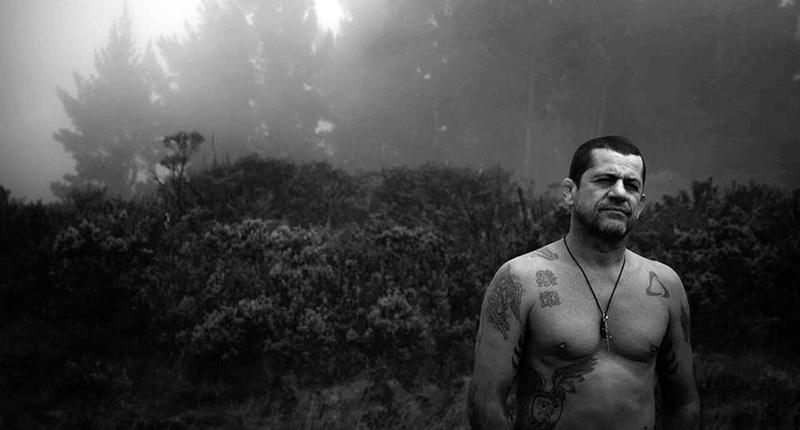 The classes were taught by Sergio Penha. Heredia decided he wanted to train at a bigger academy and so he switched to the famous Carlson Gracie academy in Figueiredo Magalhães street, there he befriended several of the sport’s historic figures such as Cassio Cardoso, Amauri Bitetti, Murilo Bustamante, to name a few. Limão didn’t stay at Carlson Gracie for long as he’s family moved to the São Conrado neighbourhood. Because of the commute he started training more regularly at Mario Tallarico‘s academy (black belt from Rolls Gracie) although he would also train with Sylvio and Marcelo Behring in Nova Ipanema. Due to his close friendship with Royler Gracie, with whom Luis used to surf, he decided to try a class at Gracie Humaita. He was a 21 year old blue belt (awarded by Tallarico) when he started training at Humaita, where he settled. Training and competing for Gracie Humaita Limão earned his purple belt (1987) and two years later he moved to the United States, together with Rickson and Ralph Gracie. The trio was sent to the US to help Rorion and Royce Gracie manage the Gracie Jiu Jitsu academies they were developing there. Limão stayed at the Gracie academy for some time, he ended up leaving the famous gym together with Rickson with the intention of helping his friend and mentor set up his own school franchise. He stayed alongside Rickson for 12 years, helping him settle several academies in the mean time, such as the Pico Boulevard academy in West LA, another one in Laguna Niguel, CA, and later in Pacific Palisades (also in Los Angeles). While spending time teaching alongside Rickson, Limão ended up receiving his brown belt in 1991, and on June 1995 his black belt from Rickson Gracie. In 2002 Luis Herédia decided to move to Hawaii. Being an avid surfer from an early age, it had been a dream of his to come and live in the idyllic American archipelago. 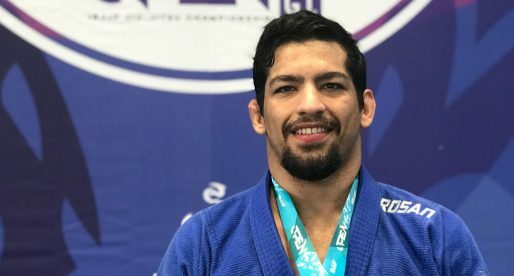 Although Luis had some help from a fellow Brazilian Jiu Jitsu practitioner, Romolo Barros, at the start, he soon managed to establish himself in Maui founding ‘Maui Jiu Jitsu’. so he got his brown belt in 2001,his black in 2005 but was a purple in 1987 yet competed as a black belt in 1997.Someones got this entirely wrong.I remember luis being a black in the mid nineties from reading martial arts mags back then. You were too quick for me Paul. I was inserting the Portuguese version and didn't find that error until I did 🙂 yes, he received his bb in 1995 not 2005. I just trained with him in Louisville! He is a great! 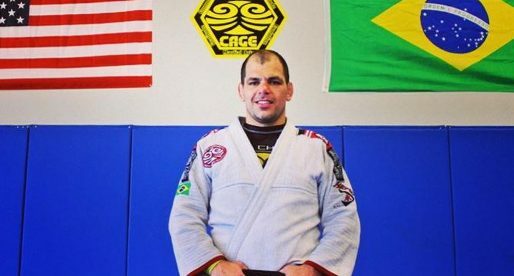 Thanks to BJJ Heroes…Great article !! Much love and aloha from Maui , HI !